On this page you'll find all of the red wine clubs we've reviewed. Our ratings system looks at quality-to-price ratio, shipping costs, uniqueness, and custom features. Wherever possible, prices include shipping costs, but rarely include sales tax. Be sure to select the state you're shipping to, as not all wine clubs can ship to all states. For Gifts Join today and get your first 6-bottle case for just $49.98. Shipping is included. Click for This Deal. For Gifts Join today and get your first 12-bottle case for just $89.88. Shipping is included. Click for This Deal. Overview: A six or 12-bottle wine subscription geared toward occasional drinkers who don't want to spend a lot on their wine. An International selection with a good variety of wines and wine regions. What We Love: There isn't anything Martha Stewart does that isn't beautiful, and the branding and experience of this wine subscription program are no exception to that rule. Could Be Better: While we really enjoyed the white wines we received, the reds left much to be desired. Exclusive Deal For Gifts Save 10% on any wine of the month club gift. Use code BESTWINE at checkout or Click for This Deal. Overview: This is the mid-range membership from The Original Wine of the Month Club ™, offering generally well-made wines from well-known areas. At $15-20 a bottle, it's competitive with several other wine clubs on price, but they're more willing to push the envelope on lesser-known wine regions and grape varieties. What We Love: Paul Kalemkiarian, second generation proprietor at Wine of the Month Club ™ goes out of his way to source interesting wines, and in this price point that can be a challenge, particularly in finding California wines. So he leans on an International selection to bring you better value in this price range. Could Be Better: Our take on why they call this Vintners Series is that at this price point you're starting to see the personality and preferences of the winemaker in the final product, as opposed to wines that are produced in more of a large-scale production manner. We find the selections to be hit or miss for this wine club, but we're pretty picky. Overview: The Cellar Series is the 6-bottle upgrade for each of the Wine of the Month Club's standard 2-bottle series: Classic, Vintners, and Limited. If their selection works for you, you can now get six bottles per shipment, which lowers your per-bottle shipping cost. Could Be Better: For more info on the Cellar Series, we suggest reading our full reviews for The Classic Series, The Vintners Series, and The Limited Series. Overview: We recently received several shipments from Vinesse, including the Pinot Noir club, and they've really stepped up their wine buying. If you're interested in more than just California Pinot Noir and you don't want to spend a ton of money on it, we really recommend this Pinot Noir wine club. Plus, you get Vinesse's rock solid satisfaction guarantee for every bottle, taking all of the risk out of joining a wine club. What We Love: We strongly support all niche wine clubs. The taste of wine is subjective and we think everyone should drink what they love. Given the high delivery fees on this Pinot Noir subscription from Vinesse, we recommending joining the 12-bottle wine club and have the shipments sent as often as is appropriate. Overview: This value-driven International wine club with a very popular following from the Original Wine of the Month Club ™ lets you pick red wine, white wine, or a mix. Whether you're buying for yourself or as a gift, this is one of the lowest cost wine clubs around. What We Love: Paul Kalemkiarian, second generation proprietor at Wine of the Month Club ™ goes out of his way to source interesting wines at rock bottom prices. He always is looking for ways to cram more value into his shipments, and being a member comes with the perk of receiving opportunities to buy addititional wine at ultra-low closeout prices. Could Be Better: Most wine subscriptions in the $12 / bottle price range (does not include shipping) offers wines that have flaws. While we think these wines are better quality than others in this price range, we sometimes we pick up off flavors in the Classic Series selections. We'd like to see a drop more quality control for this subscription. Overview: The premium-level wine club from Vinesse where over the years we've seen the quality-to-price ratio go from incredible to disappointing and everywhere in between. If you want a wine of the month club that delivers better quality wines that you can't easily find, but want the protection of a rock-solid satisfaction guarantee, this is a good choice. What We Love: We like that you can decide how much of this wine club you want in your household's wine mix. You can choose 2, 4, 6, 8, or 12 bottles per shipment, though the delivery choices of 5, 7, or 14 times a year are kind of odd. Like most wine clubs, we advocate for joining with the highest number of bottles at an appropropriate frequency to save on shipping costs — a big savings with Vinesse. Could Be Better: We'd like to see a little less of the superlatives... "super-premium" wines don't carry a $35 price tag. Regardless, these are definitely premium wines worth their price. Overview: From the wine sales partner for Wine Enthusiast magazine, this wine of the month club is a no-hassle way to try new red wine from around the world. The wine director at WineExpress, Josh Farrell, hand picks each wine for their subscriptions. What We Love: WineExpress is the retail arm of Wine Enthusiast Magazine. Who better to select the best wines for a wine of the month club than a company that rates wine? Could Be Better: It's been a long time since we received a shipment from WineExpress, but the last ones we received we felt sent out an uninspiring selection of wine (medium- to large-production and widely available) and were priced too close to retail to be considered a good deal. We'd like to see them include previously-shipped wines on their wine club pages. Overview: From the original Wine of the Month Club (really, they're the first!) you get wine delivered every month at really low prices. The proprietor drives a hard bargain and passes those deals onto his customers. This California Series is like their mid-level wine club but it focuses only on California wine. It's perfect for people who aren't sure if they're \wine club people\" and as a gift to a young wine-lover just starting to explore." What We Love: Paul Kalemkiarian, second generation proprietor at Wine of the Month Club ™ goes out of his way to source interesting wines, and for this wine club, he only ships the best California wines he finds at this price point, after tasting hundreds each month of course. Could Be Better: We're not sure why, but unlike the other wine clubs from The Original Wine of the Month Club, they don't list the past California Wine Club shipments on their website, and we wish they would! For You Join today and get 12 bottles of wine PLUS 3 bonus bottles for just $69.99. Same as voucher. Click for This Deal. For You Join today and get 6 bottles of wine PLUS 3 bonus bottles for just $39.99. Until Dec 31. Click for This Deal. Overview: The Macy's Wine Cellar subscription, is a great way to get affordable wine delivered to your home or office on a quarterly basis. A wide selection of wine regions and grape varieties introduce you to wines from around the world. What We Love: An affordable wine subscription with a top-notch satisfaction guarantee (theirs, not ours). 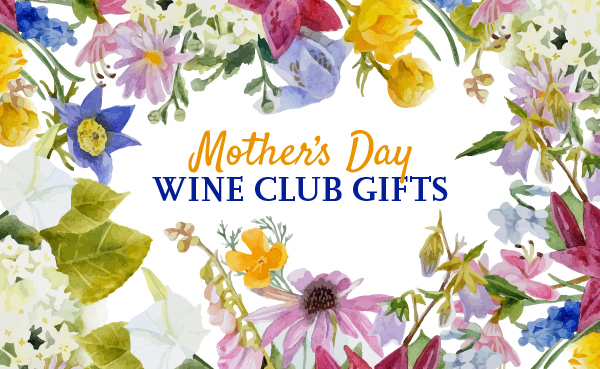 Could Be Better: We'd really like to see a gift option for this wine club. Overview: We recently received several shipments from Vinesse, including the Cabernet Sauvignon club, and they've really stepped up their wine buying. If you're interested in more than just California Cabernet and you don't want to spend a ton of money on it, we really recommend this Cabernet wine club. Plus, you get Vinesse's rock solid satisfaction guarantee for every bottle, taking all of the risk out of joining a wine club. What We Love: We strongly support all niche wine clubs. The taste of wine is subjective and we think everyone should drink what they love. Given the high delivery fees on this Cabernet subscription from Vinesse, we recommending joining the 12-bottle wine club and have the shipments sent as often as is appropriate.